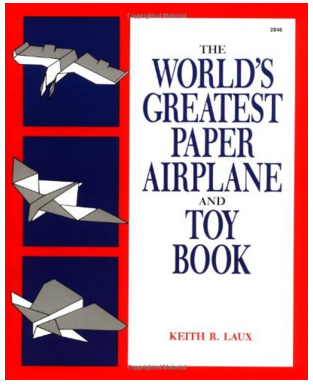 The World's Greatest Paper Airplane And Toy Book Just $8.06 Down From $16! You are here: Home / Great Deals / Amazon Deals / The World’s Greatest Paper Airplane And Toy Book Just $8.06 Down From $16! The World’s Greatest Paper Airplane And Toy Book Just $8.06 Down From $16! If you love making paper airplanes then check out this Amazon deal. The World’s Greatest Paper Airplane And Toy Book is just $8.06 down from $16! Get yours now while it lasts! This amazing book has every possible airplane design from stunt plane to glider, from the normal dart, to the X-Wing. You don’t need fancy paper to execute and you can also learn to make ninja stars and frogs, helicopters, and a pac-man head. If you love paper planes, get this book!